He has been called one of the most brilliant men ever born on American soil. In this course, learners will examine the theological insights of Jonathan Edwards. Taking a topical approach, the course covers Edwards’ teachings on all the major points of systematic theology, giving particular emphasis to his unique theological contributions. Topics such as the place of reason, the decrees of God, the nature of justification, and the extent of sanctification are presented and analyzed with the goal that students apply new insights to their own lives and ministry. 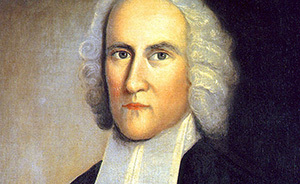 Understand the life and ministry of Jonathan Edwards. Gain insight into the primary debates among historians over the teachings of Edwards. Explore the details of Edwards’ teaching on the major points of systematic theology. Appreciate Edwards’ unique contribution to the Church. Embrace the beauty and glory of the God whom Edwards loved.